Richard Ali’s The Anguish and Vigilance of Things and Umar Sidi’s The Poet of Dust were published by Konya Shamsrumi Press last week. 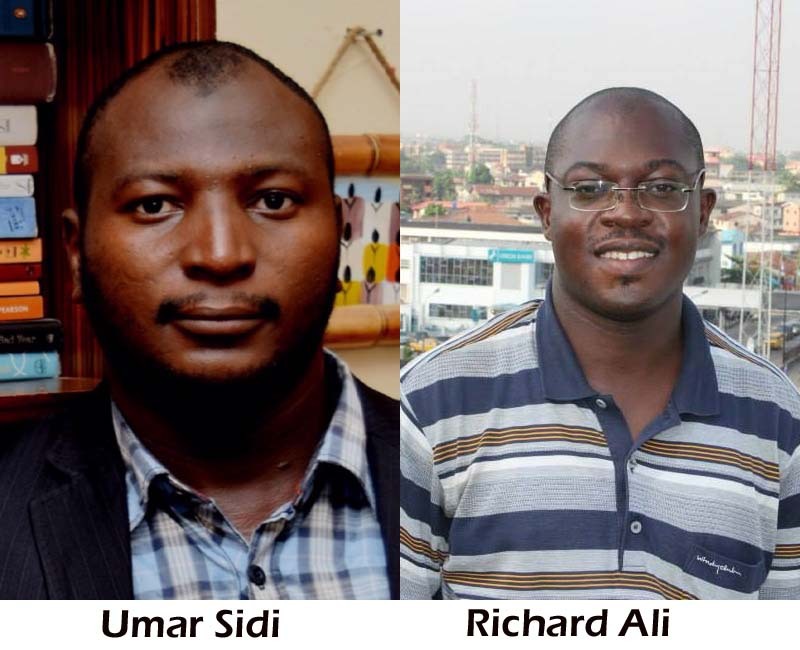 Konya Shamsrumi Press is built around the four-member KSR Collective which comprises Richard Ali, Umar Sidi, Funmi Gaji and Rasaq Malik Gbolahan. Its objective is to create a new publishing house and multimedia platform for African poets that will show-case the continent’s best voices. The collective has announced that their first published works are now available with the poetry collections of Richard Ali and Umar Sidi. Richard Ali’s The Anguish and Vigilance of Things. Richard Ali’s 59-page debut collection has long been awaited, his work having been published in African Writing, Praxis Magazine and in Poems for a Century: An Anthology on Nigeria. Following an introduction by Arab master poet, Imru al-Qais, the collection is divided into two section—World: Poems and Otherworld: Other Poems. The first section comprises three poetic emphasis: Songs of Light, The Woman God and Songs of Darkness. It ends with the poem, The Casino for Souls, and is a synthesis of nearly fifteen years of work. Umar Sidi’s The Poet of Dust. Umar Abubakar Sidi, a Nigerian Navy helicopter pilot, has had an earlier collection, titled Striking the Strings. The Poet of Dust, coming in at 69 pages, is an expansion of Sidi’s 2014 chapbook, The Poet of Sand, published by Saraba Magazine. As with Richard Ali’s collection, it is divided into two sections—The Poet of Sand and Poetic Manifesto. Each section contains six poems, the second section having The Veiled Secret of the Kama Sutra or the Way A Certain Poe Interprets the Surrealist Manifesto, previously published in Jalada Africa 02. His work has been published in Transition Magazine and Brittle Paper. The new collections are available for order via the Konya Shamsrumi website with a discount deal (#3,500 for both) with free postage in Nigeria. It will also be available at the nation’s leading bookstores including Booksellers (Abuja and Ibadan), Patabah (Lagos), PAGE Bookstore (Lagos), Adam’s Pages (Abuja), AMAB Books (Minna), Chapter One Books (Kano) and the Jos-based Custodians of African Literature (COAL). Our books are also available from Ehanom Books in Accra, Ghana. It is expected that Kenya, Uganda, Rwanda, and South Africa will follow. A distribution agreement is being worked out in the United Kingdom. Previous Previous post: Ngugi Wa Thiong’o launches “Kenda Muiyuru” in Nairobi. Next Next post: Ali Hilal Ali’s “Mmeza Riwaya” out in time for Mabati Cornell Prize 2018 ceremony.